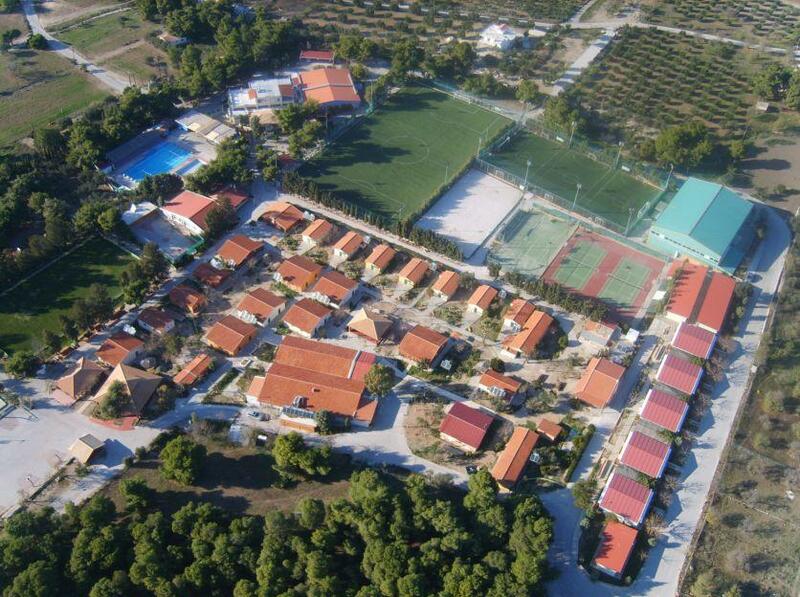 Less than an hour from Athens is Sportcamp Loutraki, our Greece School adventure trips destination. It’s the largest and most comprehensive privately owned sports centre in Greece. Glorious weather is one of the features that our party leaders have commented on over the years and groups can travel to this part of Greece from Easter right through until October. Some have even combined watersport activities with sport activities. As an adventure team here at Activ4 we wanted to be able offer a unique school water sports trip experience. Loutraki is a coastal resort popular with Athenians looking for a relaxing beach holiday. Only a few kilometres away, is Heraion Lagoon which is separated from the sea by a narrow peninsula. The infrastructure here for a school water sports trip is excellent and only surpassed by the fabulous scenery. Activ4 is a member of the School Travel Forum and as such we pride ourselves in achieving the highest possible safety standards. In doing so we employ the UK’s leading specialist consultant to be our technical advisor to ensure that all the adventure centres that we use are living up to the standards you require. Another attraction for a school water sports trip to Loutraki is that you stay in Sportcamp and have access to all of their fantastic sports and entertainment facilities. There are football pitches, tennis courts, basketball courts, squash, in fact you name it’s probably there. Put all of these element together and you have the recipe for a fun filled school adventure trip to this wonderful part of Greece where our passion for detail and expert provision will ensure your group has a wonderful time in the sun. 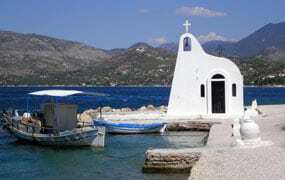 The coastal town of Loutraki is popular with Athenians looking for a relaxing beach holiday. Enjoy a fabulous range of watersports on the Heraion Lagoon which is separated from the sea by a narrow peninsula. 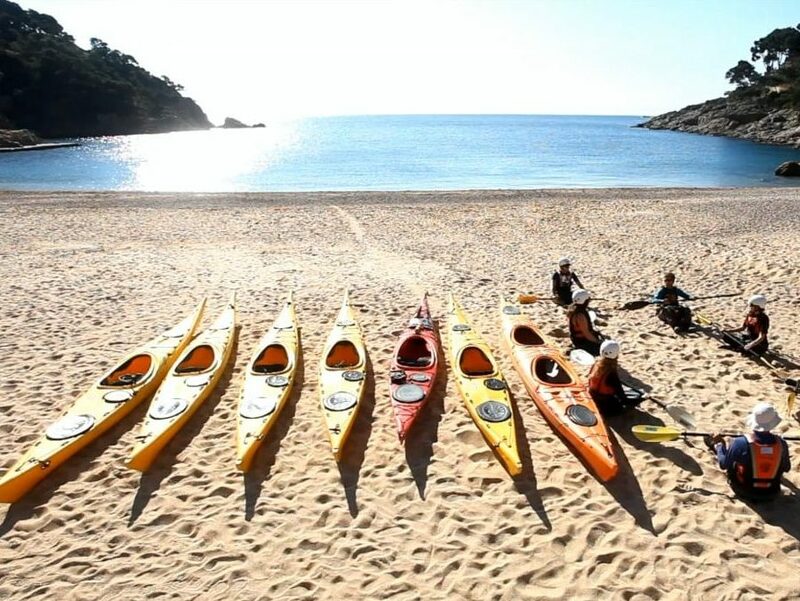 Loutraki is a great place to base your school watersports trip, you can enjoy the beach but the lagoon offers a more tranquil location for your group to learn new skills on the water. The infrastructure here for a school water sports trip is excellent and only surpassed by the fabulous scenery. SPORTCAMP is the largest private sports centre in Greece and boasts an extensive area of 70,000 sqm overlooking Mount Geraneia and the Corinthian Gulf. The dorms are modern and fully equipped with air-conditioning. Most meals will be buffet service so plenty of homemade cooking. There is a large conference room which is great to gather groups together after dinner for a variety of in house evening entertainments starting with a quiz night. Watersports and school adventure tours to Greece. You will depart from your UK airport bound for Athens, the host of the 2004 Olympic Games. Your group will be met by a member of the activ4 destination team and taken to your coach for the one hour transfer to SPORTCAMP which is located just 5km away from the seaside resort of Loutraki. SPORTCAMP is the largest private sports centre in Greece and boasts an extensive area of 70,000 sqm overlooking Mount Geraneia and the Corinthian Gulf. The fantastic sporting facilities here stem from hosting numerous National Olympic Teams as a training base; they are highly experienced in welcoming professional athletes so the service you receive will be second to none! The dorms are modern and fully equipped with air-conditioning. Most meals will be buffet service so plenty of homemade cooking. There is a large conference room which is great to gather groups together after dinner for a variety of in house evening entertainments starting with a quiz night. Your group will start each day with a buffet breakfast before your watersports sessions. You will be transferred to Heraion Lake, where the first of your Water sport activity sessions will begin with a full safety briefing from the instructors. Groups will then be split and activities really get under way. You will all meet at Ypanema beach bar and restaurant for a BBQ lunch before the afternoon sessions begin. There may be time before dinner to enjoy the weather and take a dip in the outdoor swimming pool, as let’s face it, it’s highly likely to be miserable back home! After dinner there are numerous options available, a popular choice is a talent show! Today you head out on a guided bus tour to the country’s capital city Athens. You will trace the history and culture of Athens from ancient times to the present day. Once off the bus you could visit world famous museums, with spectacular views of ancient temples, the Acropolis and Parthenon. Athens represents the combination of ancient history and modern life, which is a very rare experience and one not to be missed. With so many exciting photo opportunities make sure your cameras are at the ready! Next you will have the opportunity to enjoy some seriously exciting rides at Allou Fun Park, the largest amusement park in Greece. Here you will find games featuring real actors, such as The House of Fear Bodies, the only horror house in Greece as well as the Mirror Forest, skills games, fun and amusement rides suitable for everyone. No visit to the capital is complete without time for shopping so you will head to Monastiraki which is one of the most famous quarters in Athens. Back at camp you will enjoy an evening of Greek traditional games. Once breakfast is eaten the group will be transferred back to Heraion Lake to pick up where they left off. Two more water sports sessions will take place, one in the morning, followed by lunch at Ypanema Seaside Restaurant, then a second session in the afternoon. By the end of the day your students will have had the opportunity to participate in each activity.